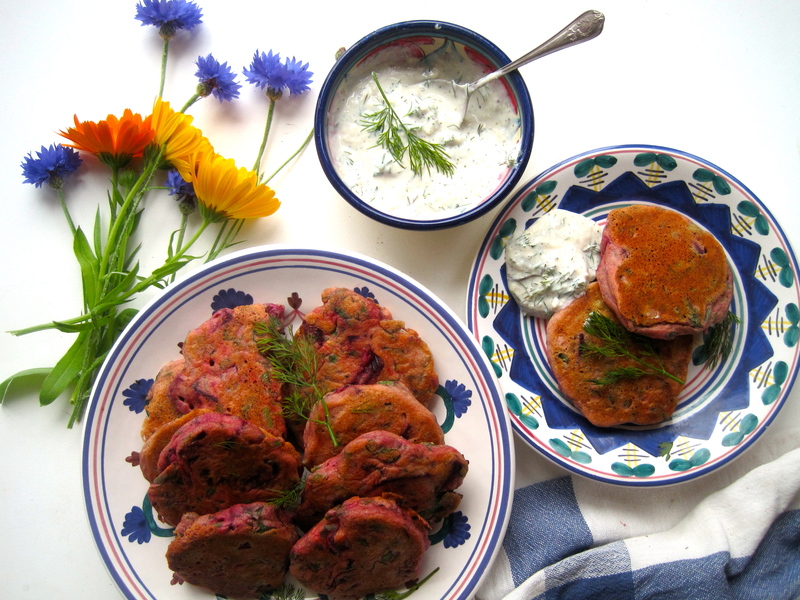 Beetroot is a super duper food – seasonal right now and very easy to use in loads of ways! 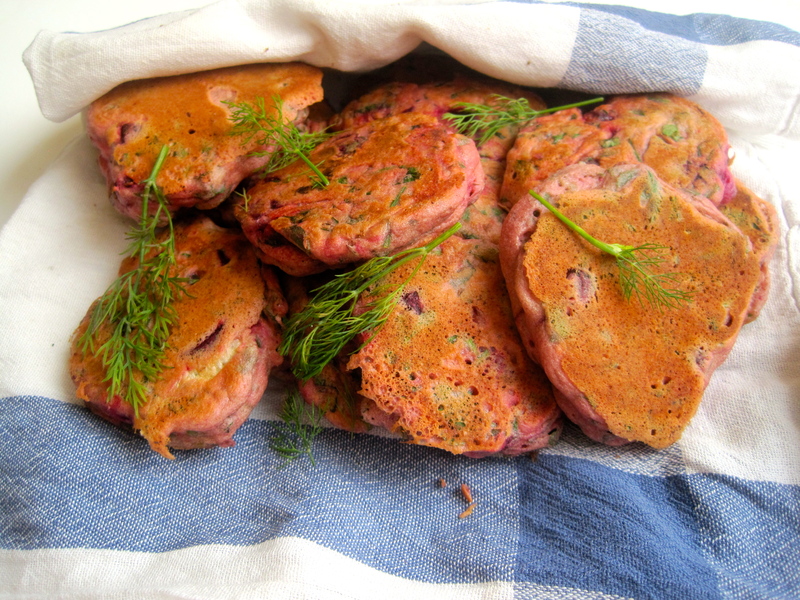 These pancakes are light and airy and retain some crunch from the beetroot. They’re lovely to make as everything is pretty and pink! Perfect for lunch or as part of a mezze with other dishes. Salsa! – simply combine these ingredients together. 1. 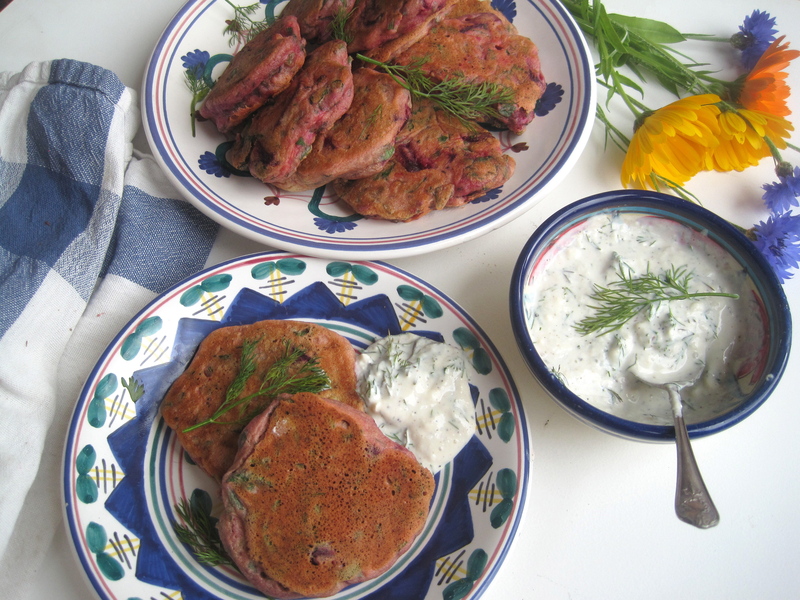 First cook the beetroot – This is done best in the oven if you have time! Wrap the whole, clean beetroot with their skins on in tinfoil and cook for an hour to an hour and a half at 200°c. Leave to cool slightly before removing the skins and chopping. 2. 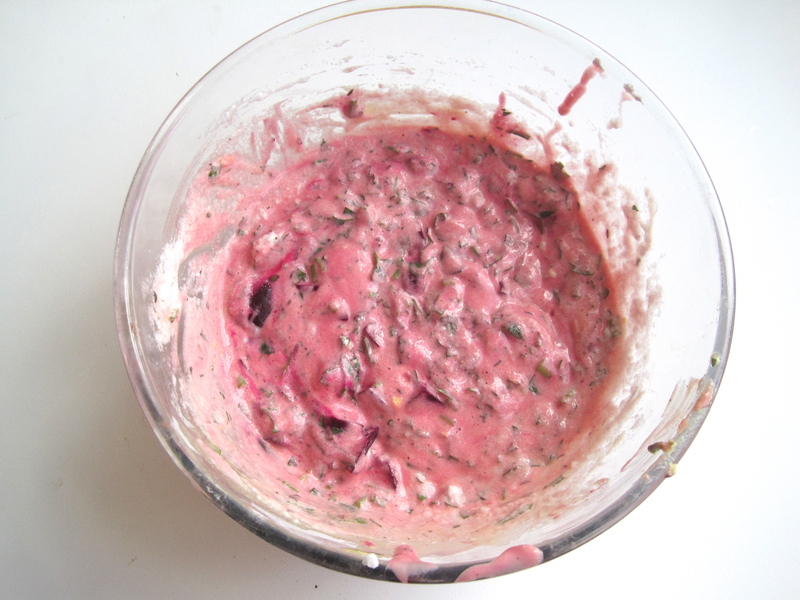 In a large bowl combine the flour, soya milk, egg yolks, cumin, caraway, chopped parsley, oil, salt and pepper and the beetroot chunks. 3. In a separate bowl, whisk the egg whites to stiff peaks. Fold into the rest of the ingredients. 4. Heat a little oil in a non stick frying pan before adding spoonfuls of the mixture to the pan. You need a high heat for this. After a couple of minutes turn the pancakes over and cook until lightly browned on both sides. Serve hot with the cream salsa!